User interface: 5/5. 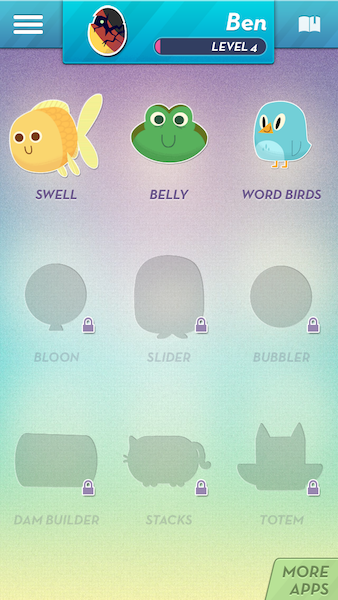 App uses a large color palette and fun animal animations. Menus slide from each side of screen. The first time you use the app there are helpful instructions displaying how to use it and explaining the menus. User experience: 5/5. 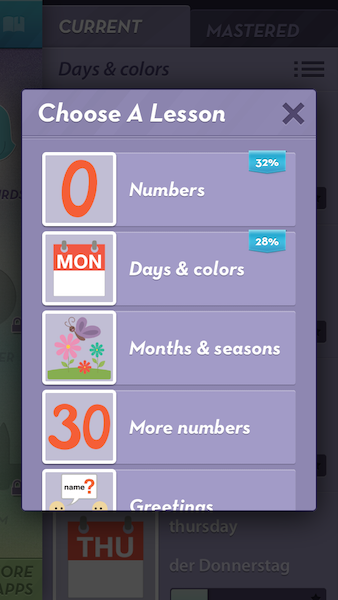 MindSnacks has a great user experience. The games are exciting and are fun to play for the sake of playing the game, not just to learn. Different levels and points make this feel like a real game app, not just a language learning app. The animations, sounds and graphics are great quality. Learning: 4/5. You learn both by reviewing words in a lesson and by playing games. Pictures and translations of words are displayed and you can listen to the word. 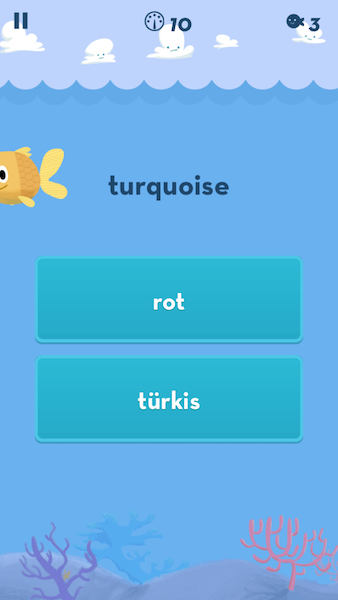 The games are like small quizzes to learn the vocabulary of the lesson. There are some tutorials on the lessons. The grammar related tutorials could have better explanations. Motivation: 5/5. You get points for succeeding at games. Points are used to advanced to higher levels. At higher levels you unlock more games. The app encourages you to play more, so you can play new games. You need to play a lot to reach higher levels, so it’s hard to advance if you’re not as committed. Feedback: 4/5. If you answer a question incorrectly it tells you, but without an explanation. 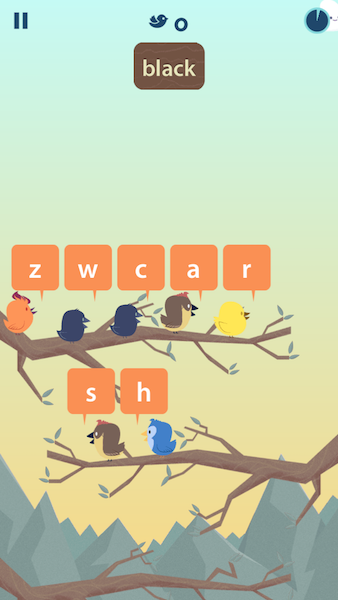 After the game you can see how much progress you’ve made learning certain words.